The soaring prices of onions has burnt a deep hole into the budget of each family and today one KG of Onion was being sold at Rs.65-75 depending upon the size and quality. With the rising prices of onions and other vegetables pushed inflation to a five-month high of 5.79 per cent in July even as the government and RBI battled to stabilise the rupee. Homemaker Rajni told AAB, she used to buy about 5 kgs of onions which would suffice for a fornight and would cost about Rs.20/Kg. But with this hike in prices the entire home budget has fizzled out. In the coming days there looks no respite from this hike until the new crop arrives which will take a month or so. Thank God!!! 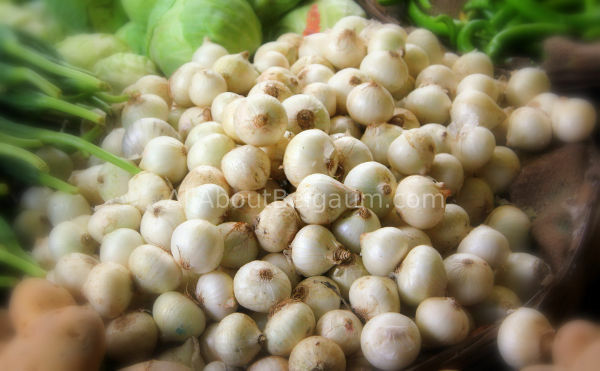 I Don’t like ONION and Garlic MAIN BACH GAYA!!! !